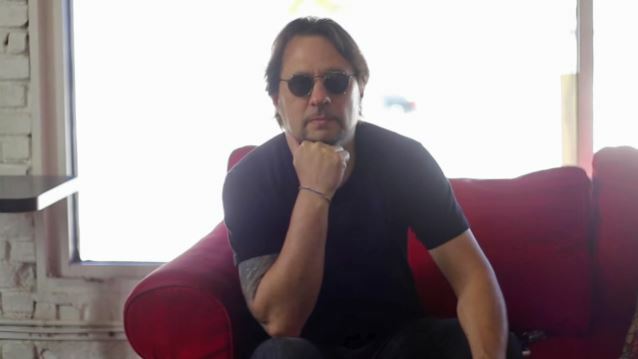 Drummer Dave Lombardo unveiled his art collection, "Rhythm Mysterium", in November 2014. Containing 13 works, the collection is built from the new medium of rhythm-on-canvas. Now, for the first time, hear a clip from the vinyl within the newly released "Lombardo" book-and-vinyl set. 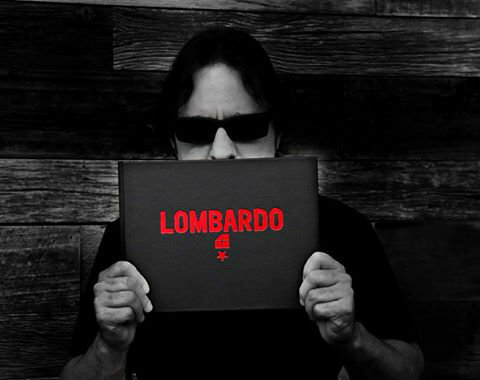 The "Lombardo" book focuses on the artwork Dave has created from rhythm, and the seven-inch picture disc vinyl included in the set has drum solos crafted by Dave for each art piece. Only 300 are available in the First Edition; all are numbered and signed. As the founding drummer of SLAYER and the current drummer in SUICIDAL TENDENCIES and MISFITS , Dave Lombardo is responsible for some of music's most acclaimed rhythms. With his art debut "Rhythm Mysterium", Lombardo crafted the visuals in the collections through drum performance. Working with art team SceneFour, Lombardo utilized drumsticks that light much like a painter uses brushes with oil. An extensive process from start to finish, Lombardo's rhythms are captured and brought to canvas in a highly vivid and abstract way. "Where we photographed the pieces was very inspiring," Lombardo told Joel Gausten in a 2014 interview. "It was in a kind of warehouse in Downtown Los Angeles, so it sounded really good. It was just a big, cavernous room. I just went off, and they started snapping pictures... At certain points, as I noticed the way they were shooting the pictures and everything, I realized, 'Wow, I could really make this picture look better if I give it my flair or my style. When I'm on stage, I've noticed that I swing my arms a little more. My movements are more exaggerated. I don't restrain myself when I play; my arms are swinging all over the place. So in this environment, instead of just doing a solo for myself, I gave it that live performance feel. That's why I feel that these pictures show a little more excitement, because of the way I approached the drumming." For more information, visit DaveLombardoArt.com.